YOUNGSTOWN - Graveside services will be held Wednesday, Oct. 22, 2014, at 11 a.m. at Green Haven Memorial Gardens, 3495 S. Canfield-Niles Road in Canfield, for Mrs. Mary Queener, 88, who departed this life Sunday, Oct. 5, 2014, at her residence with her family by her side. 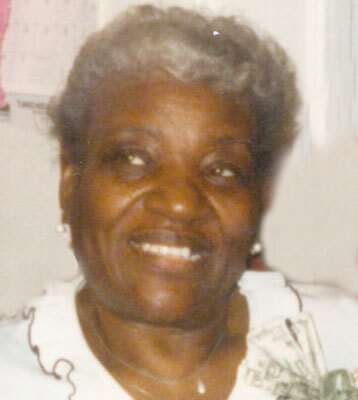 Mrs. Queener was born Jan. 23, 1926, in Vandergrift, Pa., a daughter of Frank and Clementine Robinson Cunningham. Mary was married to Frank Queener Sr., who passed away in April of 1957. She was a former member of the New Bethel Baptist Church. She enjoyed cooking, watching TV, and spending time with family and friends. She leaves to cherish her memory, her son, Frank Queener of Youngstown; a brother, James Cunningham and his wife, Iris, of Orlando, Fla.; four grandchildren, Samantha Keys, Keyia Brown, Shayron Queener and Raymond R. Queener Jr. and his wife, Raviné’; 12 great-grandchildren; one great-great-grandchild; a daughter-in-law, Sharon Queener; and a host of family and friends. Besides her parents and husband, she was preceded in death by a son, Raymond Queener Sr.; two brothers, Lee Cunningham and William Cunningham; a sister, Dorothy Dabney; and a daughter-in-law, Betty J. Queener. Arrangements entrusted to the L.E. Black, Phillips & Holden Funeral Home.